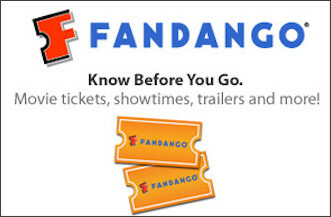 2 Movie Tickets only $9 total from Fandango (Living Social Deal)! Wow! Living Social is offering a daily deal today for 2 Movie Tickets redeemable at Fandango for only $9! Each ticket has a value up to $15. Go here to see your choices of theaters & movies. If you're new to Living Social, be sure to sign up here!